Breakthru Beverage Group is a leading North American beverage wholesaler driving innovation in the marketplace with a nimble and insightful approach to business. 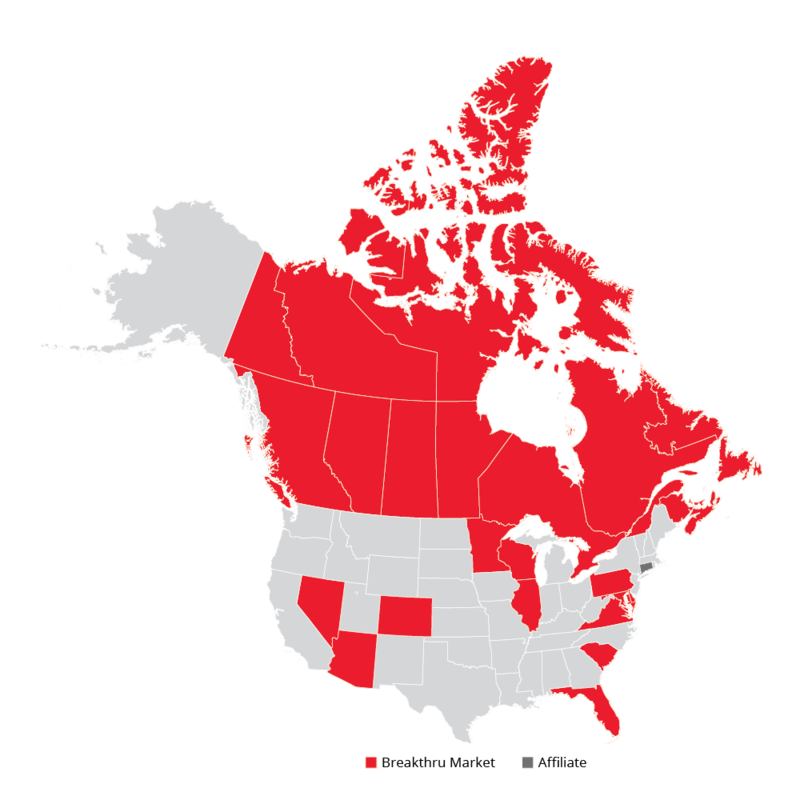 Breakthru is proud to be family-owned and operated, bringing valued expertise to its operations across the U.S. and Canada. The company employs more than 7,000 associates representing a portfolio of premier wine, spirit and beer brands totaling more than $5 billion in annual sales. Our sales and logistics expertise stems from two industry pioneers. Today, it is brand building, marketing, consumer insights and market intelligence that drive the business forward. Communities thrive when we all do our part and work together. We live and work in cities and towns all across the country and are proud to give back and to make them the very best they can be. As industry leaders, we are dedicated to the promotion, selling and serving of alcohol in a safe and ethical manner. We are looking for energetic colleagues who work purposefully and act with integrity. Join our team.